Northwind Outpost is a rare Strength support card. It is part of the Core Set. 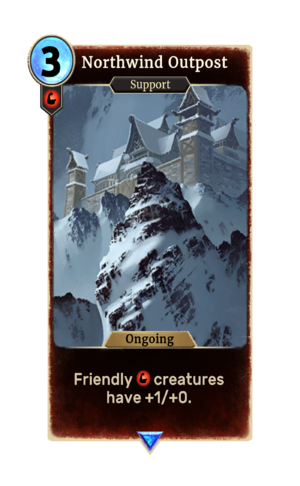 The card's previous cost was 2 magicka, until this was increased in Patch 1.69.0. This page was last modified on 14 February 2019, at 23:45.